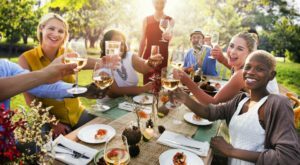 Imagine yourself at a dinner party gathering in a beautiful home full of people. Everyone is talking, laughing, and having a wonderful time. They are all mingling around from one group of happy people to another. And here you are, standing next to the only person you know in the entire house; your date that brought you to this lovely dinner party. How are you feeling? Excited, energized, shy? Are you ready to strike out and meet new people or are you wishing you could hide behind that ficus tree in the corner? Do you have a sinking feeling in the pit of your stomach? Are you feeling stripped bare and naked? That feeling is vulnerability. When you feel vulnerable it means you are opening your heart to love, connection, joy, trust. It can be a scary feeling, sort of like a turtle without the shell. 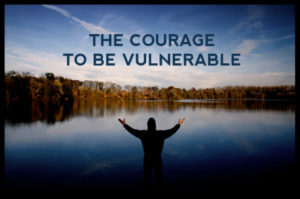 Vulnerability implies that you have the courage to be yourself. It involves uncertainty, risk, and emotional exposure. And that is why it might seem scary But it can be gloriously exhilarating, too! So why is it so scary to open yourself up like this? Well, because society teaches us that to be open, to be vulnerable is synonymous with weakness. If you show your soft underbelly, or even acknowledge that you have one, you open yourself up to a whole host of possibilities. There is a chance that you could get hurt. But there is an equal chance that you will be heartily embraced! The larger the risk the greater the reward. Being vulnerable in your relationships is very powerful! Consider the dinner party example. If you decided to hide behind the ficus tree you’d feel safe but you’d likely also feel fearful that people would come talk to you, stiff as you tried to hide, and uncomfortable because you knew no one. Even behind that tree, hidden in the corner, you are exposed. There comes a time when you realize that the fortress you’ve built for yourself is awfully lonely and it’s time to open up, be vulnerable, and connect. Now, imagine instead, that you decided to lean in to the uncomfortable feeling and embrace it. Here I am world, a turtle without a shell! There is power in that! 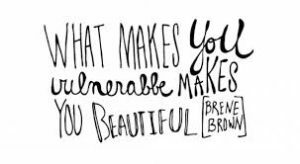 Embracing your vulnerability opens you up to the entire world. 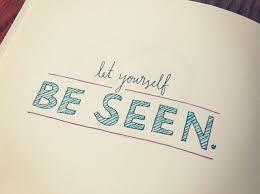 Take a deep breath, strike out across the room, find someone with a smile on their face, and say hello. You are now embracing your vulnerability. When you embrace this naked feeling you have the power to be yourself, to be authentic, to show the world and your partner who you really are. When you are vulnerable, the larger the risk the greater the reward. Open yourself up beyond the dinner party example. Where else in your life can you lean in to the vulnerable and exposed feeling? JoyWork Suggestion: Identify areas in your life where you feel uncertain and vulnerable. How can you lean in to the vulnerability and open yourself up for greater connection? Let me know how your doing on the Accelerated JoyWorks Facebook page. This entry was posted in Vulnerability and tagged Connection, courage, Emotional Intimacy, Truth, vulnerability. Bookmark the permalink. A very beautiful and profound post indeed. I have found with that vulnerability comes an unconditional love and self acceptance. You are so right, Pamela. Vulnerability opens the doors to loving yourself more and more.